Dan Poblocki is back with a new spooky ghost story perfect for fans of Mary Downing Hahn and John Bellairs. There is an island, far off the coast of Maine, where the ghosts of the past are restless. Josie and Eli soon realize there's much more to worry about than guest lists and flowers. 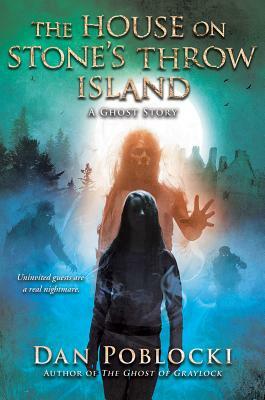 It's up to them to uncover the chilling history of Stone's Throw Island and put its ghosts to rest -- or this dream wedding will become an absolute nightmare. Dan Poblocki is the author of The Stone Child, The Nightmarys, The Ghost of Graylock, The Haunting of Gabriel Ashe, The Book of Bad Things, and the Mysterious Four series. He lives in New York with two adorable cats and more books than he has room for. Visit him at danpoblocki.com.